On top of Samy’s work as a researcher, she is often sought after as a spokesperson for inspiring young people to take up a career in tech. 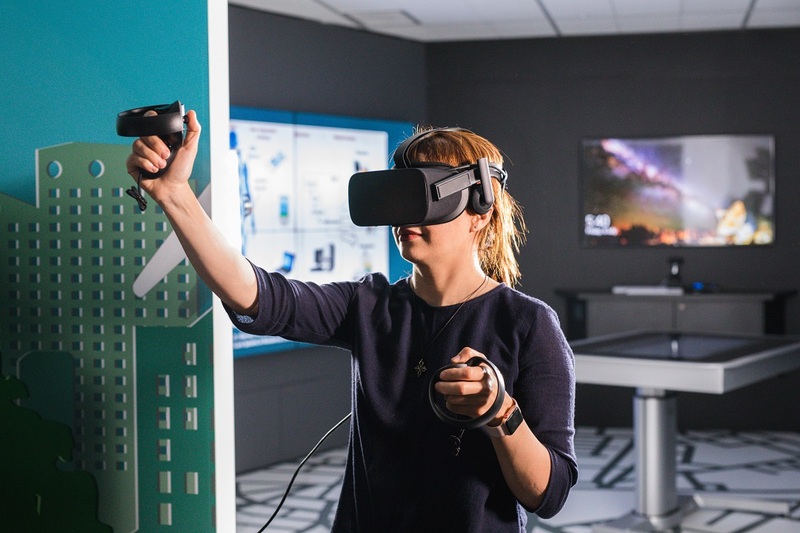 It’s National Science Week and we’ve been taking a closer look at science, technology, engineering and maths (STEM) careers and pathways – answering burning questions and debunking myths like: what kinds of opportunities can be found in a STEM career path? What current and future jobs rely on STEM skills? What kinds of people pursue STEM careers? Can I only become a physicist if I study physics? 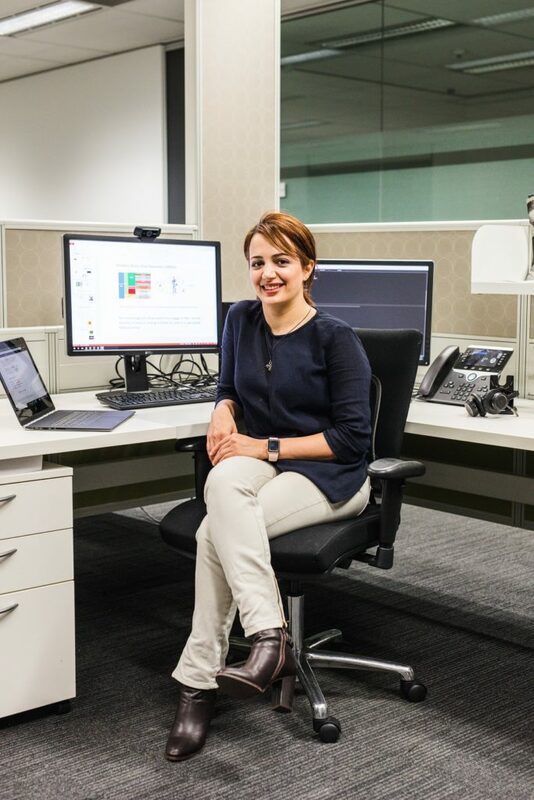 To answer some of these questions, we’re getting up close and personal with Telecommunications Engineer, 2017 Google Research Fellowship recipient and ICT Student of the Year, Samy Movassaghi to hear about some of the cool things she’s doing in her job, what sparked her interest in STEM, and the pathway that led to her becoming a STEM professional. Samy even has some tips for eager young STEM enthusiasts! Tell us a bit about what you’re working on at the moment and how you got there. Samy: I work on wearable biomarker sensors, or “insideables” that can track our health. Specifically, communications between a network of intelligent, low-power, micro and nano-technology sensors which can be placed on or in the body (including in the blood stream) to monitor vitals and provide timely data for medical diagnoses and action. One potential advantage of this technology is early detection of medical conditions, resulting in major improvements to quality of life. These networks can be expanded beyond healthcare for use in sport, entertainment and many other areas with their main characteristic being to improve the user’s quality of life. Apparently some of this work was inspired by fireflies? Yeah, that’s right. I designed a self-organisation algorithm inspired by the way fireflies stimulate each other to communicate (flash their lights) which allows the coexisting networks to autonomously configure themselves when communicating. The difficulty is, these sensors, which are all battery powered, are placed on and in the body, making constant recharging and replacement impractical. A better solution would be to extend their battery life as much as possible. So, like a swarm of fireflies, my protocol allows the sensors to communicate with each other and power up and adapt their transmissions when needed, minimising the drain on their batteries. Samy developed an algorithm inspired by fireflies to help solve a communications network challenge. And what was your pathway to this job? Well, I did a PhD in telecommunications engineering. During this time I did a couple of internships and won a few awards like the ICT student of the year award from the Australian Computer Society (ACS) at the Digital Disruptor Awards, a Google Fellowship award that is funding me to go to Mountain View at the end of this month, being featured as part of the CSIROSeven campaign promoting STEM careers, Business Innovation in IT award from Nasscom Australia and some others! Wow that’s impressive! What were all these awards for? So they were mainly for my proposals and research work during my PhD studies, showcased across various competitions, and also the work that I had accomplished by participating in solving challenges at a number of hackathons. What type of personality traits or interests do you think lend themselves to a career in computers and tech? So this work is mainly about persistence and problem solving. For me, it’s just like wanting to solve a brain teaser or find my way through a maze – I like the challenge of finding a way to solve a problem. What’s the earliest step you remember taking on your education path towards a career in information technology (IT)? As a child I was quite lucky that my parents were very open to us exploring what we wanted to do. They would constantly buy me all these electronic starter kits, and I would put them together and then watch them work, progressing to more complex projects – and that’s how it all started. I was constantly inspired by remote controls, or anything electronic. I would pull them apart trying to understand what those circuits and components were all about and how they led to certain functionalities. I decided electronic engineering was my natural calling and so I pursued a bachelor degree to understand more around that. Later on I decided to look into the communication between circuits, which led to further research in telecommunications engineering through my Masters and PhD Studies. And for any young people looking to pursue a career similar to yours, what are your recommendations? Nowadays, even at the very early ages in primary school, I can see there are a lot of coding challenges and different competitions that really encourage students to pursue a career in STEM and get exposed to coding or building new applications for certain challenges within a specific area of demand. Over the next month there are a number of different events encouraging young people to get into ICT, one of which is the international Bebras computational thinking challenge. The Bebras challenge is designed to enhance students’ problem solving skills and prepare them for the jobs of the future. It’s a free classroom resource for teachers and runs 3-14 September. Visit the link below to take the Bebras Challenge. With how much urgency should we be promoting people to take up careers in STEM or ICT? With the recent advancements in the Internet of Things, machine learning, data science, and big data, a career in ICT is very promising for one’s future. As humans collect more and more data, having an IT background helps you to better understand the science behind the data and how it can be used to make decisions and improve ones’ quality of life. There are so many opportunities to marry IT knowledge with all sorts of other STEM disciplines – medical, environment and design for example. Do you have any final words of advice for someone thinking about pursuing a STEM career? In my case, I’m really happy that I chose a career in STEM because it has given me the opportunity to explore my world in another dimension. With all the advancements happening around us, my STEM background gives me a better understanding of our changing world, and makes me feel like I can make a contribution. That is very motivating and quite exciting. I’d recommend that students interested in a STEM career investigate the different competitions and challenges available to them. It’s a great way to sharpen and test your STEM skills set while having fun. How will your computational thinking skills prepare you for the jobs of the future?